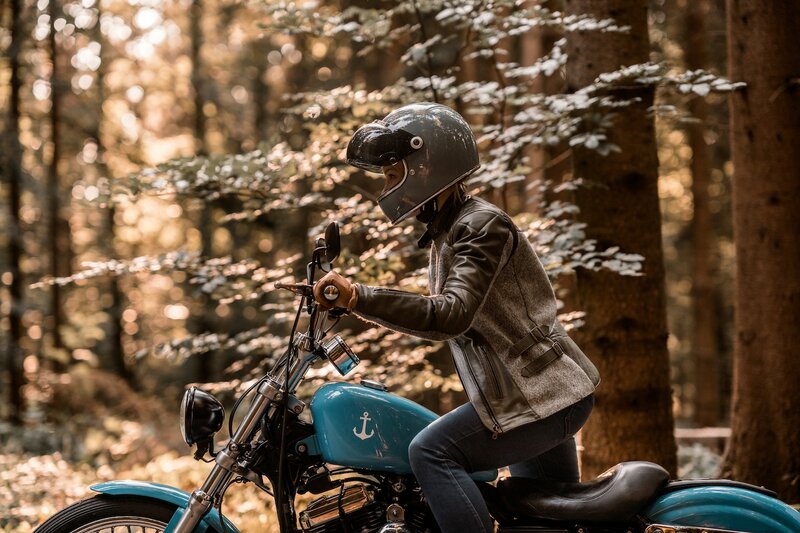 CHAKKABOOM – PREMIUM MOTORCYCLE FASHION FOR LADIES! Gina is a fashion designer in real life. We knew this from the beginning, because we talked about her regular fashion label and profession – but we didn’t expect her to do motorcycle fashion as well! But now it’s here, the online shop for Gina’s label CHAKKABOOM! “As a fashion designer, I was packed with ambition from the moment I got a motorcycle myself but couldn’t find the perfect jacket. That meant for me of course: to accept the challenge to design a jacket that is chic and female, practical and functional, offers the necessary protection and above all is something different. 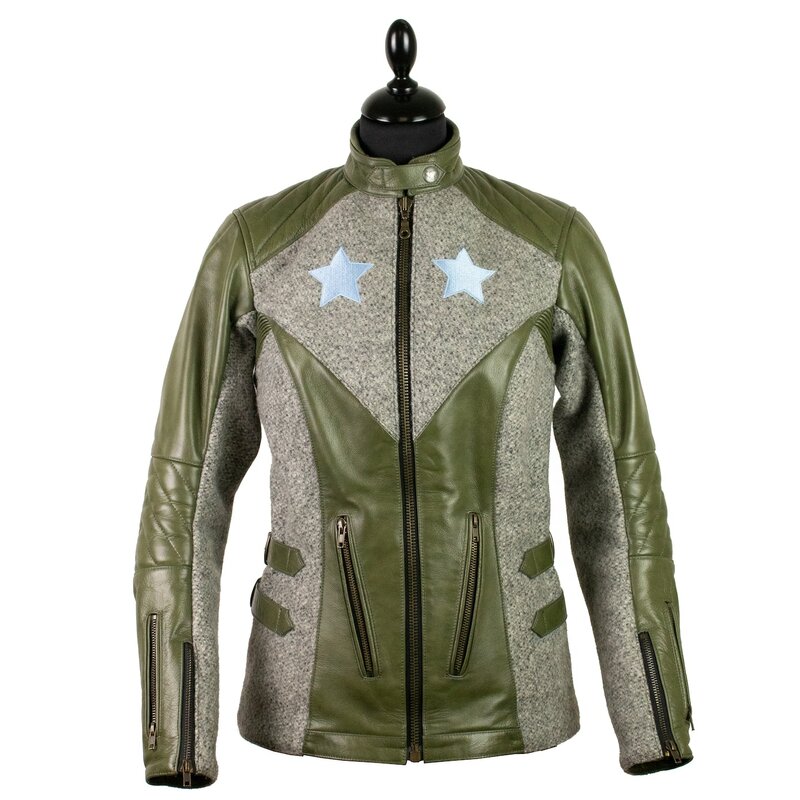 So the jacket should appeal to cruisers and racers who don’t always want to reach for the black leather jacket. The focus is therefore only on women, as there is so little on offer for women bikers and more and more women are beginning to bike. The name Chakkaboom is a pun that goes hand in hand with “female empowerment” in its onomatopoeia and power, with which Gina can identify very well: “Women who do their own thing, in the sense of girl motorcycle gangs like The Petrolettes, The Curves, The Litas and others…”. 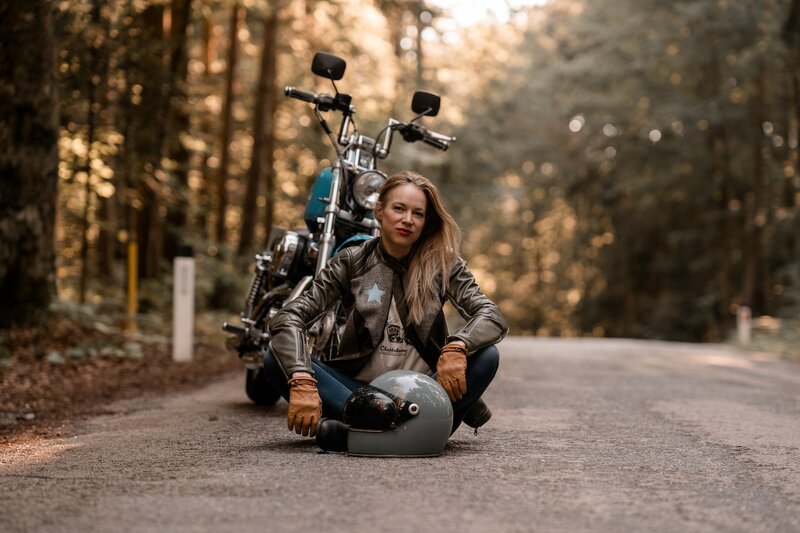 Gina is a RISER AMBASSADOR – as an expert in motorcycling she always recommends cool and especially worth seeing routes – and now also fashion! You can follow the next motorcycle adventures of Gina here on the blog or in the RISER app (under the name Gina la Marine)!